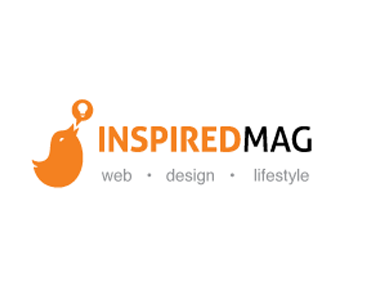 Inspired Magazine is a daily inspiration for web designers and developers. Inspired Magazine’s audience reaches over 150,000 monthly unique readers with 84,000 Twitter followers. Description: This is an opportunity to sponsor a giveaway of the sponsor’s product or service directly to the Inspired Magazine community. The distribution of the product or service will be handled by the sponsor, and the final content of the giveaway will be written by the Inspired Magazine editorial staff. This will include 5 tweets to Inspired Magazine’s following of 80,000+ Twitter followers. Duration: Permanent. Actual event will be determined upon the quantity to be given away. Requirements: This must be very relevant to the Inspired Magazine community. Please provide enough information necessary on the product or service to be given away, the quantity desired to be distributed, and links. Description: This is an opportunity to write and sponsor a guest post about a relevant topic or theme to the Inspired Magazine community. This should not be a direct advertisement for your product, but can include a short description and a link to your page. This will include 5 tweets to Inspired Magazine’s following of 80,000+ Twitter followers. Requirements: This must be very relevant to the Inspired Magazine community. Must be quality and relevant content in order to get approved. Please provide the title, article, and any URLs or information necessary for approval. Description: This is an opportunity to get your product or service reviewed by the Inspired Magazine editorial staff and posted on the website. This will include 5 tweets to Inspired Magazine’s following of 80,000+ Twitter followers. Requirements: This must be very relevant to the Inspired Magazine community. Please provide any information on the product or service, relevant links, and/or samples necessary in order to provide an accurate review.